Mr. Trent's Classroom: The Week of February 13, 2017: Biomes Brochure Info. 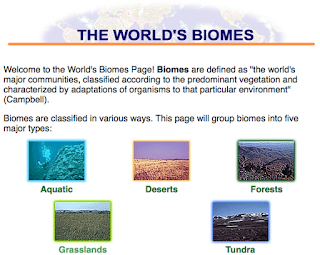 The Week of February 13, 2017: Biomes Brochure Info. 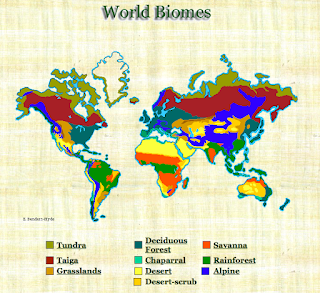 To finish up our studies on weather you will be creating a biome brochure that highlights the climate conditions of a certain area on Earth. You will use the planning sheet found below to plan your work. All research and the creation of your brochure must be completed in class. Your final brochure and planning sheet are due Friday, Februaary 17th. It is important that you conduct your research using a variety of resources. I will have a basket of books you can use on the science shelf. I've attached a list of the titles at the end of this post. In addition, feel free to check out the following websites. Please remember so site all of your sources in your bibliography. The only other work you have to complete by Friday is your weekly TenMarks assignment. 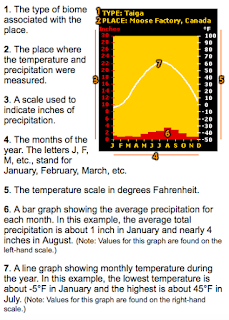 This assignment will give you some more practice with measures of central tendency. I'm sure you are excited for our Valentine exchange on Tuesday! Feel free to bring in a valentine for each of your classmates to enjoy. How old are you on other planets?